In the state of California it is possible to become an attorney without having to attend law school and this is not the only state. 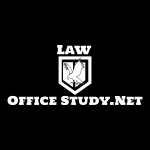 The states that permit a law office study program to become a legal professional include California, New York, Maine, Wyoming, Vermont and Washington. This program permits the individual to sit for the bar exam without the high cost of law school and while it may seem strange or unprofessional, the men and women who become lawyers using this program are in good company. The famous defense attorney Clarence Darrow became a legal professional this way, as well as many other men who help shape America and the legal system. Abraham Lincoln was a legal professional before becoming a politician and one of our historical presidents and both John Jay and John Marshall served as Supreme Court justices. The list goes on, since in the past this was the way that many attorneys became legal professionals, rather than attending a law school for formal training and it did not detract from the good they were able to accomplish. When deciding this is the way that will work for someone to become a lawyer it will not be an easy path, but will be rewarding and it will take a few extra things to be able to accomplish the requirements and pass the bar exam. The first and most important things that will be necessary is to have self discipline, since this will rest on the shoulders of the person who decides to take this route, instead of law school. There will be work, but that will not be the only obligation, there will be the need to spend time studying law books. This is not like a regular job, where going home means that work is over and it is time to relax, instead there needs to be that extra drive to study, since there will be a bar exam to pass. Even though this is a type of on the job training, there will still be the need to have some college or pass the CLEP exam, according to the rules. This is something that will take some consideration, since studying and working under a practicing attorney or in the judge’s chambers and studying law books for the eventual bar exam will take time. This is where planning will be effective when taking this route to become a legal professional. Supervision by the practicing attorney or judge will only be for a limited amount of time, so it will be a steep learning curve to be prepared. Deciding this is the best way for you personally to go about becoming a lawyer; working for a practicing attorney will provide real experience that you would not get in law school. The other advantage for some people is to work for an attorney during the day and go to law school at night. This creates the best of both and can be helpful when taking the Bar exam. The expense is a large consideration, which is why many people decide to work their way to the Bar exam and hope to become an attorney, verses going to law school. Law school is expensive and not only is there the cost of the classes; the books are expensive too, plus living expenses. Remember there are many great lawyers who traveled the same path of working their way to the Bar exam. There are really no bad points for individuals who want to become an attorney that choose study work training, rather than formal law school, except. Yes, there is “except” at the end of this there will be the exam that must be passed to hang a shingle out saying attorney at law. This takes hard work, as a lawyer in training in California there will be the first year “baby bar exam,” which people who have taken it feel it is one of the most difficult tests in the country. Then there will be the California Bar exam to finally become a full fledged attorney. Using this method to become an attorney it is important to remember that while you are getting the real world experience, studying is just as important. The individuals who choose to go to law school, are not getting this same experience, but what they are getting is filled with law classes, assignments, living and breathing law daily to get the grades it takes to remain in school. In the end this is going to be an advantage for them when taking the exam. 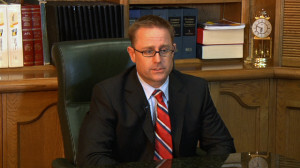 (2) have studied law in a law office or judge’s chambers during regular business hours for at least eighteen hours each week for a minimum of forty-eight weeks to receive credit for one year of study or for at least eighteen hours a week for a minimum of twenty-four weeks to receive credit for one-half year of study. (6) not personally supervise more than two applicants simultaneously. The American Bar Association (AMA) feels that lawyers should be formally trained and feels that individuals taking the bar exam have a better chance of passing. Though this is their opinion and does not mean that using this other method of legal training, instead of law school that anyone taking the bar will not pass it. Many attorneys have started out their career in the states where this is an acceptable method have passed the bar exam and gone on to have successful legal careers. One of the tools that will be used is the law office study coversheet from the Calbar website, which should be looked at, since using the law study program it will be necessary to use. Doing everything exactly as the rules lay out will be crucial to being able to take the Bar exam and become an attorney. Any slip ups in the rules and it is back to the beginning, since this is not the exact way that the AMA feels is the best way to become an attorney. They would rather formal training with the formal price tag to go with it that may not be affordable to some individuals who will make fine lawyers.